it's the end of the year and i've let this site slip quite a bit these last 6 months. i guess large life changes are large for a reason. 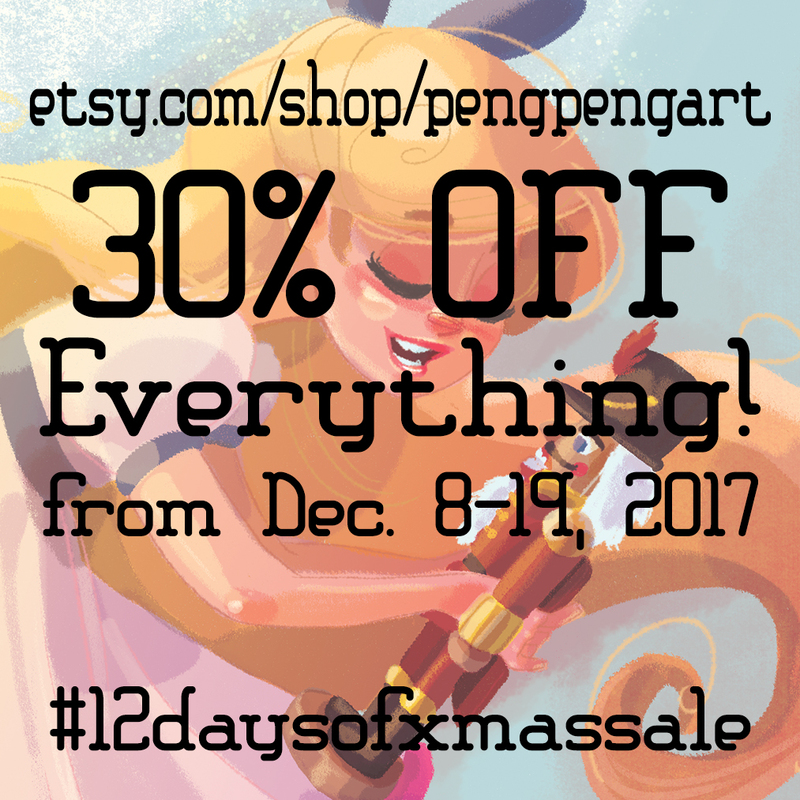 but i'm gonna end 2017 on a high note and do a sale for the holidays! 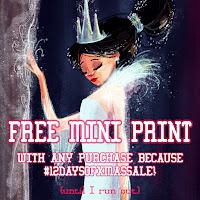 i'm doing a 12 DAYS OF XMAS SALE and it started as of yesterday online on my etsy. NOW THRU DEC. 19, 2017! 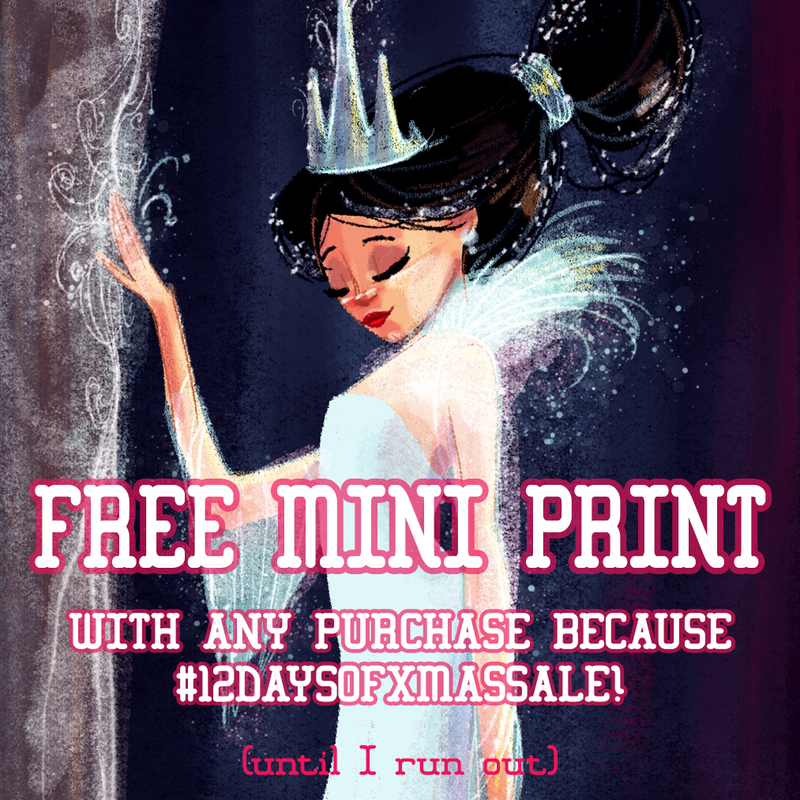 my shop is finally back up and running and i've got all of my large 11x17 Premium Prints back in stock, in time for the holidays! also, for the first time ever, copies of THE BLUEPRINT 2 are available to purchase online through my etsy. and if you're wondering, YES the sale applies to Blueprint books as well. 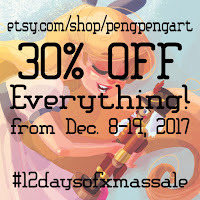 30% OFF EVERYTHING in the etsy shop, no minimum order (well, i guess 1 is the minimum haha). as long as you order by Dec. 19th, you should receive your order before Christmas because i send all orders Priority Mail (if you live in the U.S.). this is the perfect time to get a personal art gift for your friends/loved ones/yourself! i'm only doing them this small and in black & white to make sure there's enough time to finish them all. again, if you order by Dec. 19th, you should get these in time. but if it's not a rush, let me know. use the ABOUT PENG tab up top to contact me if you're interested in a commission! *i recently had to say goodbye to my pup so she can be our angel from above. i miss her so much.